Gujarat State Electricity Corporation Limited is a Power Generation Company of erstwhile Gujarat Electricity Board having Power Stations at different locations with installed capacity 5883 MW. (2) Second fill GSECL online application with GATE-2019 registration number. 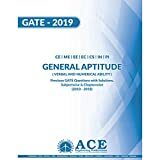 Selection Procedure : The candidates will be shortlisted on the basis of GATE-2019 score. At present no opening in GSECL through GATE 2016. Pls……pls reply. Is colour blindness a problem for mechanical candidates??? Colour blindness is one of the major medical examination step still your selection depends upon for which post you are going to select. For complete or more details please refer official website and their medical standards. Each PSUs or govt organisation follow a predefined rule book. Please inform as soon as possible..
My qualification is B.Tech and M.E. in ECE branch. Gate-2016 score is 600. Can i get any psu or teaching job through this score or u can suggest whether should i try. You need to apply in various PSUs which are recruiting through GATE 2016. Although you have less score as per present competition but you have some chances. can u tell me the cut off for electrical branch last year in GSECL through GATE 2015?? is their any another private sector or government company in GUJARAT which Requirt through GATE 2016? At present we don’t have any information related to GSECL cut-offs. We will update this information here as soon as possible. Please tell me the cutoff reqd to get shortlisted for the GSECL through GATE 2016 FOR EEE . Hello dear admin kindly tell me the privous year mechanical GENERAL CATEGORY CUT OFF FOR GSECL.& WHAT WILL BE FOR 2016 GATE.. I completed my mechanical engg with 57.80 percentage can i appy in gsecl. 60% for Unreserved and 55% for Reserved. the expected vacancies in mechanical in gsecl. through gate 2016!???? and excepted gate score cut off??? can you tell me excepted vacancies in gsecl 2016 through gate score of 2016???? 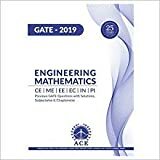 5 year b.tech student can apply for gate and m.tech. which type of job can i apply and continue my higher studies. Could you please cleat ‘5 year b.tech’ meaning clearly. So that I can guide you well. Currently there is no opening for GATE 2016. There were 70 vacancies for GATE 2015 qualified for Mechanical stream. Is there any vacancy in gsecl through GATE-2016 for mechanical branch? whats the schedule for that recruitment? please,give me reply as soon as possible.